NORCROSS, Ga. – Mizuno, the global specialty sporting goods company, today announced the next chapter of its quiet revolution on tour with the signing of current PGA Tour player, Chris Kirk along with contract extensions for Eddie Pepperell, Luke Donald, Lucas Glover and Oliver Fisher. Pepperell, Donald and Glover gave proof of that change early in 2019 – all showing up with Mizuno’s new drivers in play. Add to that Keith Mitchell who had the ST190 in his bag by October 2018 and there is compelling evidence. 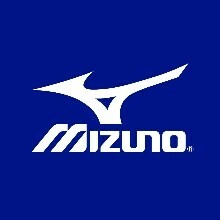 For more information about Mizuno golf and the ST190 or other golf products, visit MizunoUSA.com. Follow @MizunoGolfNorthAmerica for product updates, athlete stories and brand news.